2.2. What are phenomenological residual stiffness models? 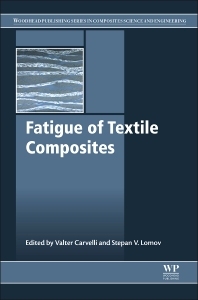 Fatigue of Textile Composites provides a current, state-of-art review on recent investigations on the fatigue behavior of composite materials, mainly those reinforced with textiles. As this particular group of composite materials is extremely important for a wide variety of industrial applications, including automotive, aeronautical, and marine, etc., mainly due to their peculiarities and advantages with respect to unidirectional laminated composites, the text presents comprehensive information on the huge variety of interlacement geometric architectures that are suitable for a broad range of different applications, their excellent drapability and versatility, which is highly important for complex double-curvature shape components and three-dimensional woven fabrics without plane reinforcement, and their main mechanical characteristics which are currently in high demand from industry. Industrial and academic researchers working on composite materials, aeronautic, automotive and energy engineering, and the development of technical textiles. Valter Carvelli is Associate Professor at the Department of Architecture, Built Environment and Construiction Engineering at Politecnico di Milano. Stepan V. Lomov is a Professor in the Department of Metallurgy and Material Engineering at the Katholieke Universiteit Leuven, Belgium.